This bag has 7 compartments so you’ve got more than enough room to pack all the crucial gear and items you’ll need in an emergency situation with space to add any extras you want. 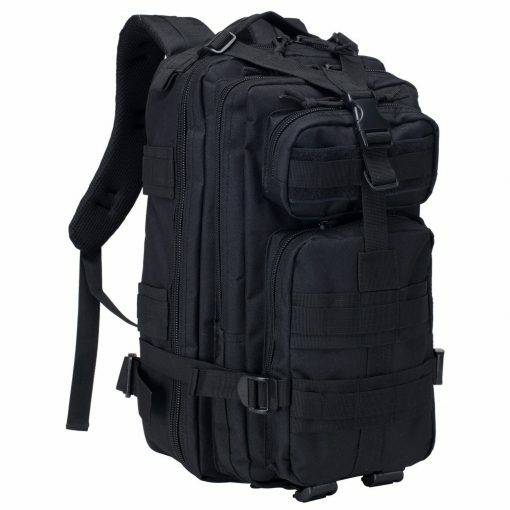 The pack has three smaller interior compartments. These three interior compartments allow you quick access to any smaller items you’ll be using frequently, and want to keep on-hand such as money, identification, multi-tools, and more. Main compartment unfolds completely in half. You can strategically fill your bag and evenly distribute the weight of your gear without worrying if you’ll be able to access crucial item when you need it. The bag features a hydration bladder compartment. You’ll have quick access to water while you’re traveling, without having to stop so you can keep hydrated on the move. An adjustable chest strap for added comfort and ease of wear. The chest strap relieves pressure and strain off the front of your shoulders while wearing your bag. By holding the straps close to the middle of your body, it keeps the straps from slipping off your shoulders when you’re leaning or climbing and gives you more arm flexibility and range of motion. Sturdy reinforced top handle. This allows you to quickly grab your bag and move out in an emergency without having to stop and slip it over your shoulder and provides an easy way to drag you to safety if you’re injured and unable to move yourself. Compression straps. You can cinch down the compression straps on your bag to take up any empty space in your pack and create a nice compact load. This means your pack won’t shift around on you and knock you off balance while you’re twisting to get around obstacles, running, jumping, or scrambling over rough terrain. Constructed using Nylon webbing. You won’t need to worry about your pack failing when you need it most. The nylon webbing provides superb strength and helps prevent your pack from damage caused by the wear and tear of rough usage you may encounter in a survival situation. Sturdy Metal D-Rings. 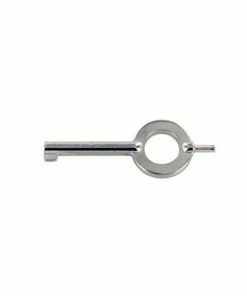 These have many uses including attaching items like small lights, cell phone pouches, or extra cordage to the D-rings so they’re right at your fingertips and quickly accessible when you need them. Great tactical backpack for EDC. Quality construction and many smart compartments. 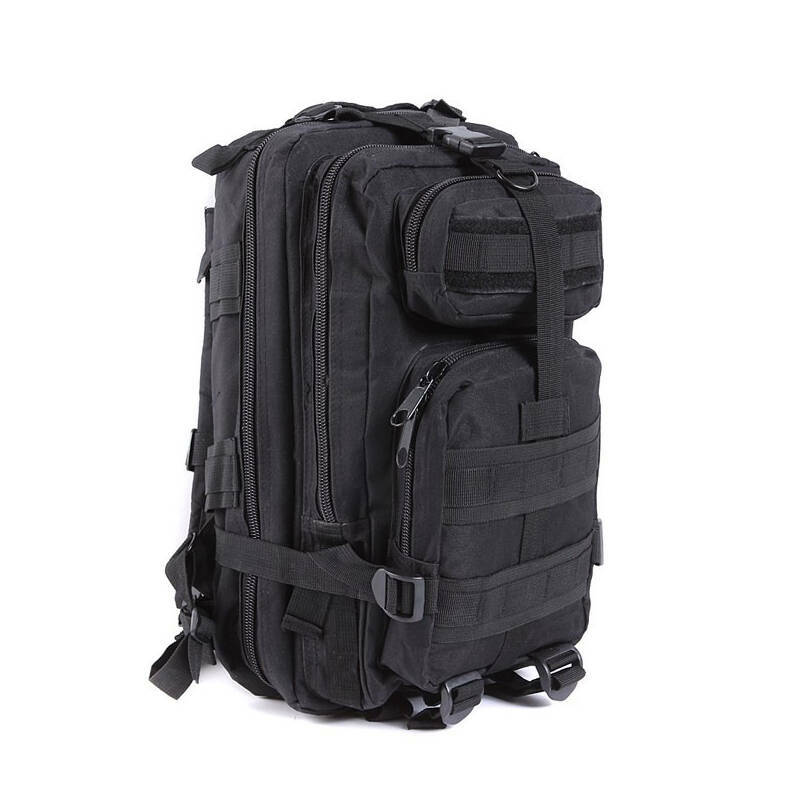 The best thing about this backpack is it opens in half like a suitcase which allows full access to packing or unpacking your items without hassle. The only thing they should upgrade are the zippers…I wish they were YKK quality. 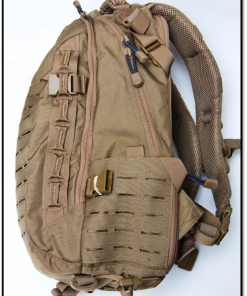 There’s also very little hook/loop area for patches because of the molle running across the hook/loop, other than that I highly recommend this backpack for EDC. You will not be disappointed.